Leonard Chess (Adrien Brody) was a record-company executive from Chicago, Illinois, the co-founder of the 1950s American record label Chess Records. He ran the legendary company with his brother, Phil, through the 1950s and '60s. 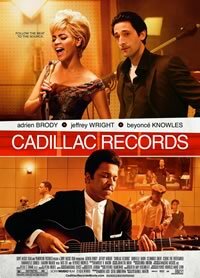 The label started selling albums from the back of Chess' Cadillac, and launched the careers of many legendary musical personalities such as blues singers and harmonica and guitar players Little Walter (Columbus Short) and Howlin� Wolf (Eamonn Walker), blues musician Muddy Waters (Jeffrey Wright), soul legend Etta James (Beyonc� Knowles). Also on hand are house guru Willie Dixon (Cedric the Entertainer), the big double bass of a man who wrote many of the label�s biggest hits, and Chuck Berry (a note-perfect Mos Def), who crossed over to the white kids.